IBM claims that Corning didn’t meet signal strength and quality measurements, causing IBM millions of dollars to correct the deficient design. Successfully teaming with Corning Optical Communications Wireless, Inc. to build a strong fiber-based WiFi and DAS network for Texas A&M’s Kyle Field in 2015, IBM again partnered with Corning to provide a DAS and WiFi system in the new 71,000-seat Atlanta Falcons Mercedes-Benz Stadium that opened Aug. 26, 2017. But the short-lived relationship began to unravel following the inking of a June 24, 2016 statement of work agreement between IBM and Corning and culminated in a lawsuit filed by IBM in Georgia Federal Court Wednesday. IBM states Corning failed to design and provide a DAS system that met the key performance indicators (KPIs) to support AT&T, Verizon, T-Mobile and Sprint with the shared neutral host DAS. The system is owned by the Falcons, according to the joint agreement that required the Falcons to purchase Corning’s ONE DAS System. IBM, which began to compete in sports technology in 2012 after seeing companies such as systems integrators Siemens and Johnson Controls, plus Cisco, Extreme Networks and Mobilitie become significant players in the space, said they relied upon Corning’s “expertise and advice” to build the system that once built could not meet specifications and IBM had to re-engineer and rebuilt the network costing them millions of dollars. 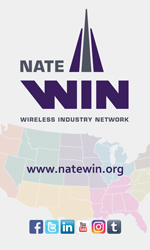 The lawsuit states that the carriers’ KPIs were based on two different RF measurements: reference signal received power (RSRP) and signal-to-noise-plus-interference ratio (SNIR). RSRP is a measure of Long Term Evolution (“LTE”) signal strength, and SNIR is a measure of LTE signal quality. Corning, IBM said, agreed that its DAS System would meet a minimum SNIR signal quality measurement of 8 dB on the 700/850 MHz frequencies for 50% of all areas and a less than 0 dB measurement for no more than 5% of all areas. IBM said that Corning uses its propriety iBwave design tool, an RF engineering software program that models various informational inputs and assumptions relating to a proposed RF system design. iBwave generates coverage predictions based on the characteristics of the hardware utilized in the system and the characteristics of the environment where the system will be built, among other things. IBM said that it later found that IBwave’s coverage predictions frequently were off by approximately 15-to-20%. Corning knew about this degree of error, IBM said, but did not inform them until after performance problems with the DAS System surfaced. 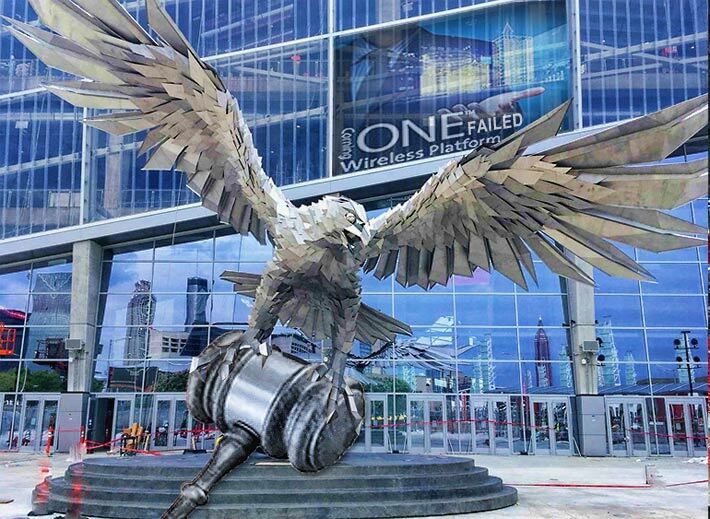 Corning personnel utilized incorrect assumptions as to how much RF signal would be absorbed by the concrete used in the Mercedes-Benz Stadium Project, IBM claimed in its complaint. Rather than utilize a single layer of concrete—as was reflected in the designs for the as-built Mercedes-Benz Stadium—to generate coverage predictions, Corning used two layers of concrete in iBwave. IBM asserts that the two layers of concrete meant that the iBwave model assumed that the stadium would absorb more signal, reducing “signal bleed” from one section to the next, thus increasing the predicted SNIR measurement of signal quality. Reducing “signal bleed” is an essential aspect of creating a functioning DAS System. If there is too much antenna bleed from one section to an adjoining section, it can create a scenario where a cellular phone constantly switches from one antenna to another antenna, which in turn leads to a low-quality signal. As such, the more defined the sections that each antenna serves, the better the quality. By including two layers of concrete where there should only be one, Corning created a model that assumed the concrete absorbed much more of the RF signal, which significantly reduced the bleed in the model. Conversely, the DAS System installed in the stadium did not have an extra layer of concrete, had less signal absorption than indicated in the model, and therefore, had significant bleed across sections reducing the “real world” SNIR measurements as compared to the model, IBM alleges. IBM said that after it learned of the double layer of concrete, and had it removed from the iBwave model, the model predicted SNIR results that were much closer to the “real world” results observed by coverage testing. Corning also used incorrect assumptions as to the weight of the seating levels to generate its coverage predictions in iBwave. Corning’s failure to account for the differences in weight between seating levels resulted in an exaggerated coverage prediction, IBM claims. The complaint says that Corning’s inaccurate design assumptions were not voluntarily disclosed to IBM. “In fact, it was not until third party RF engineering consultants independently endeavored to determine why there was such a high variance between predicted coverage and actual coverage that the incorrect assumptions were discovered,” IBM said in its lawsuit. IBM states that Corning represented that the ONE DAS System required that the antennas could be no further than 25 feet from the remote access units (RAUs). However, IBM claims that after the installation was close to complete and they had engaged other DAS System integrators to help fix Corning’s work, IBM learned that this length limitation between the antenna and RAU was not required. “Corning’s false representation drove up material and labor costs associated with the installation of the DAS System,” according to IBM. On November 13, 2017, the stadium’s prime contractor provided IBM with formal notice of default for failing to deliver a fully operational DAS System as required by the prime contractor-IBM agreement. IBM said Corning didn’t respond. Towards the end of 2017, IBM and project consultants realized that the Corning-designed and implemented DAS System would never meet the performance requirements developed and approved by Corning and contained in various agreements. IBM is suing Corning for: Negligent design and construction, Gross negligence, Professional negligence, Negligent misrepresentation, Attorneys’ fees and costs, Breach of contract, Fraud in the inducement, and Fraudulent misrepresentation. In April, Verizon Communications signed a $1.05 billion agreement with Corning to supply fiber optic cable. The deal calls for Corning to provide up to 12.4 million miles of it from 2018 through 2020.